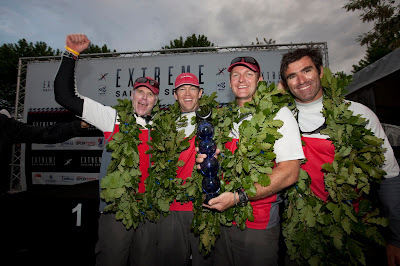 It was a jubilant Terry Hutchinson who stepped onto the podium with his Team Artemis crew to claim Act 3 of the Extreme Sailing Series in Istanbul today. 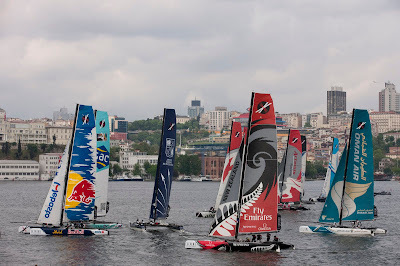 It was an incredible finish going into the final race worth double points with three teams in contention for the win: Artemis Racing, Emirates Team New Zealand and Groupe Edmond de Rothschild. ETNZ's Dean Barker was under the pump but held his nerve to lead the Kiwis to a convincing race win however it wasn't enough and Artemis Racing moved into third place on the final gybe of the final downwind leg to win Act 3 by just one point. “We knew around the last lap that we had one opportunity and we needed to pass one boat to win the regatta and we passed one boat. I jumped up to the first spreader when I heard Seb say that we had won the regatta,” said an ecstatic Terry Hutchinson. 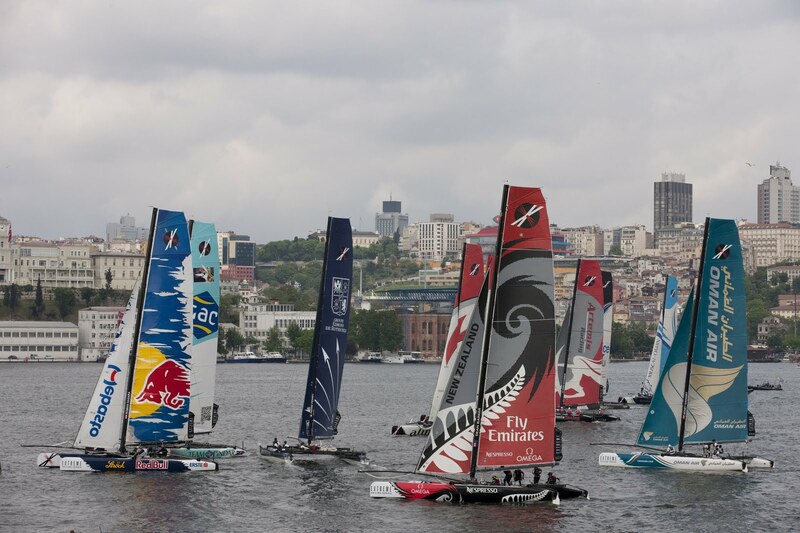 Ten races were staged today with Emirates Team New Zealand keeping their grip at the top of the overall rankings while Artemis Racing and Groupe Edmond de Rothschild fought hard to stay in the game. The tables turned in the eighth race when Artemis Racing grabbed the overall lead but they nearly lost it in that last race. The Wave, Muscat with the youngest helmsman on the circuit, Australian Torvar Mirsky, battled it out with Luna Rossa to place fourth.